Jeff is the owner of West Vancouver Physiotherapy and has been working as a physiotherapist for over 14 years. He graduated from the University of British Columbia in 1997 with a Bachelor of Science in Physical Therapy preceded by a Bachelor of Science in Biology. He began his clinical experience working at Worker’s Compensation Board in the Work Rehabilitation program. In the fall of 1998, he started working at West Vancouver Physiotherapy. During his time at WVP, he has focussed on expanding his physiotherapy skills by attending numerous post-graduate courses in orthopaedic manual therapy and exercise prescription as well as participating in many International and National physiotherapy and sports symposiums. Jeff has achieved some of the highest standards in manual therapy in the physiotherapy profession, including a Certificate of Intermediate Manual & Manipulative Therapy. Jeff has been a lifelong resident of the North Shore and has been very active in the sporting community, both as an athlete as well as a trainer for sports teams and events. His love of sports started early in life being selected for Provincial and National level teams in field hockey, wrestling, soccer and rugby in his school years. This culminated in being chosen as Carson Graham’s Athlete of the Year in 1990. He continued his competitive involvement in sports by playing at the Capilano Rugby Football Club in both the Premier and First Divisions for over 20 years. During this time, he was selected for numerous Provincial and International rugby teams. His other sporting passions include downhill skiing, mountain biking, golfing and back country hiking. Both Jeff’s diverse work and sport experiences have given him the opportunity to work with a broad spectrum of clients ranging from Professional level athletics to youth just starting their sporting careers. This gives him excellent insight and a wealth of experience, enabling him to diagnose and implement expedient and appropriate rehabilitation programs for clients of all ages and levels of activity. Cameron is an Australian trained Musculoskeletal Physiotherapist. His full time practice focuses solely on shoulder injuries and related spinal disorders (neck and upper back). He maintains two busy clinical practices treating a variety of chronic and complex disorders alongside the “less complex” shoulder injuries. He has worked as an academic teaching undergraduate physiotherapy, consultant or team physiotherapist to various sports teams and worked in large multidisciplinary sports and multidisciplinary spinal clinics. He was involved in a recent research project involving cuff disorders and is a regular educator for physiotherapists and physicians. Cameron has delivered a variety of presentations in Australia and across Canada ranging from shoulder replacement management to scapula disorders and treating various cuff pathologies. Cameron emphasizes a multidisciplinary approach when treating more complex shoulder problems including involvement with neurologists, sports physicians, surgeons, radiologists and rheumatologists. If you are seeking any assistance for a shoulder injury or related disorder, Cameron is available in West Vancouver and in Point Grey (near UBC). A Physician’s referral is not necessary for consultation. Eric is a University of British Columbia graduate where he received his Masters in Physical Therapy following his Bachelors in Human Kinetics. He has gone on to become certified in IMS/ Dry Needling as well as becoming certified in acupuncture through the Acupuncture Foundation of Canada Institute. Eric has taken post graduate training in orthopedic manual therapy, cervicogenic disorders, post-concussion rehabilitation, lower back disorders, chronic pain and sport specific strength and conditioning. 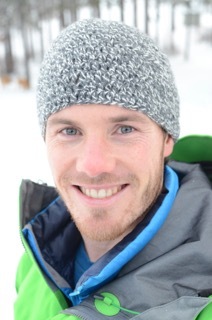 Eric currently also provides physiotherapy services for Alpine Canada as a travelling team therapist helping our Olympic athletes achieve their full potential during summer camps and in-season world cup stops. Eric has extensive experience training high-level athletes including NCAA/CIS hockey players, alpine ski racers, rugby players and other varsity athletes. Prior to becoming a physiotherapist Eric grew up on to the North Shore spending most of his time ski patrolling, being an avalanche educator, and mountaineering. In his spare time you can find him mountain biking on the local trails, skinning up mountains, playing hockey or spending time with his wife (Nancy) and dog (Shuksan) in the mountains. Eric has a passion for helping people return to their activities and achieving pain free movement. This enables his client’s to pursue their own optimal health and focus on what matters most to them. Maurice has been at West Vancouver Physiotherapy since he graduated from the School of Rehabilitation Medicine at the University of British Columbia in 1992. He semi retired a few years ago but has now returned to full time work as a physiotherapist and deals exclusively with the care and management of concussion injuries. He is certified with Complete Concussion Management and is a member of their international network. His company, North Shore Concussion Care, is located at the West Vancouver Physiotherapy Clinic. Maurice has extensive experience dealing with concussion injuries. He volunteered as head trainer/physiotherapist for 15 years with the Capilano Rugby Football Club where he was responsible for on field emergency medical coverage. He also has been responsible for medical coverage while travelling on numerous international West Vancouver and North Vancouver High School Boys Rugby Tours. He is a recipient of the North Shore Sports Volunteer of the Year award. Chris has a Bachelor of Science in Kinesiology from SFU and a Master's of Science Degree in Physiotherapy from Queen's University where he graduated in 2007. Additionally, he has received his certification in intramuscular stimulation (GunnIMS) and acupuncture (Acupuncture Foundation of Canada Institute). Chris was raised on the North Shore and graduated from Carson Graham High School prior to going to university. In 1997 he was named Carson Graham Athlete of the Year. Chris has played a variety of sports including soccer, football, basketball, volleyball, squash and baseball. He played rugby for the Capilano Rugby Club from 1995 to 2006 participating at both the premier and provincial levels. Currently, Chris contributes to his community by volunteering as a head physiotherapist for the Capilano Rugby Club. He keeps fit with running, mountain biking, and downhill skiing. Chris enjoys treating patients of all ages and levels of activity and works hard to tailor a treatment style that best suits the individual client's needs, goals and abilities.